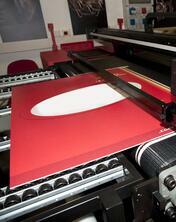 Wide format is a logical expansion of the growth of Inkjet Technology. Roger will be and discussing how wide format business is expanding and how service bureaus, commercial printers and retailers take advantage of adding these offerings to their portfolio! Both the challenges and benefits of integrating these offerings will be discussed. Roger will share with you a terrific success story!